Last summer I couldn't put down the Hunger Games trilogy. I even went and saw the movie. Of course I was thrilled to find maps of Panem that other fans have created based on the geographic descriptions in the book. Check this one out. Looking at it sparked an idea for a new lesson on Geographic Perspective. 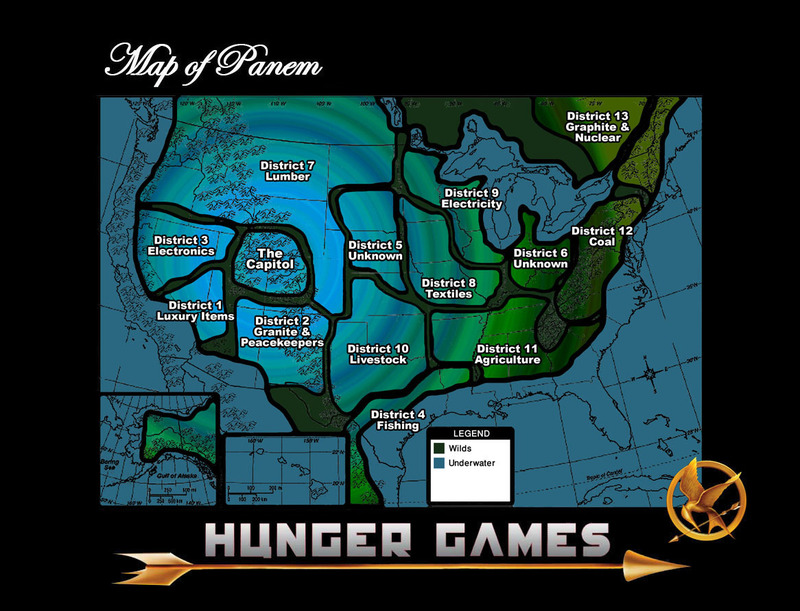 Students can create maps based on their favorite works of fiction! Maybe mapping imaginary worlds will help spark their interest in mapping this one.